The Blinds4UK brand of Skylight Blinds ideal for VELUX, FAKRO & KEYLITE Windows. Simply identify your brand of window and order blinds at a fraction of the branded retail price. 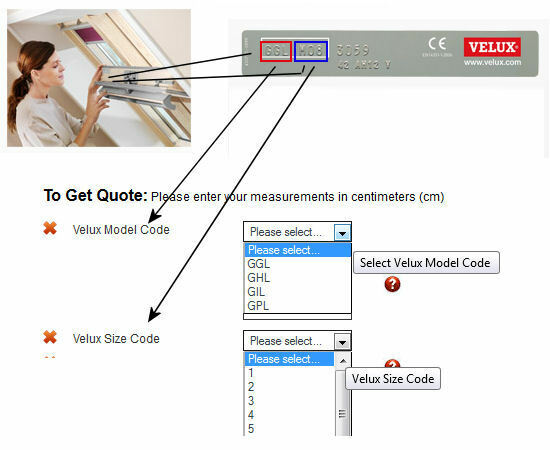 These are the measurements you need to provide if you want the blind to fit inside the Velux brand window. Simply check the plate and select the model code & window size from the drop down options. Identifying the correct size from the Velux Data Plate. Velux window sizes have changed over the years and the correct size can be determined by the plate colour, which relates to the year of manufacture. We do not manufacture VELUX sizes that were manufactured pre 1991. Roof windows manufactured before 01 April 1991 can be recognised by a silver coloured data plate and a size code made up of one number combined with three letters (i.e GGL-1). Please note our blinds are not compatible with this size window. Important Note for VELUX Windows: Identify the 'Velux brand' of window ensuring the correct window code & size have been taken from the plate as shown. These Skylight Blinds are 'not suitable' for Velux windows manufactured pre April 1991. 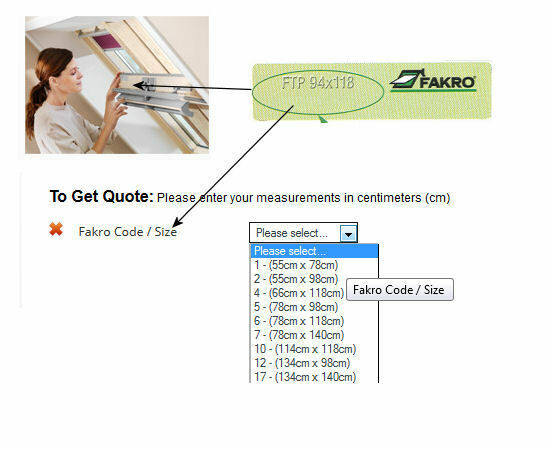 These are the measurements you need to provide if you want the blind to fit inside the FAKRO brand window. Simply check the FAKRO plate and select the window size from the drop down option. Please note these blinds are not suitable for triple glazed windows. 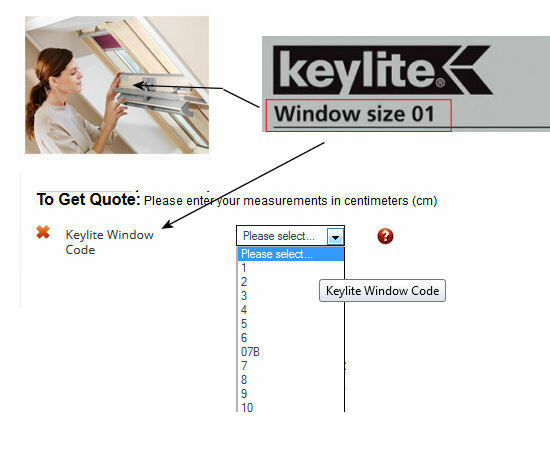 These are the measurements you need to provide if you want the blind to fit inside the KEYLITE brand window. Simply check the KEYLITE plate and select the window size from the drop down option. Please note these blinds are not suitable for triple glazed windows. Important Note for Keylite Windows: Identify the 'Keylite brand' of window ensuring the correct window code is specified before ordering our made to measure blinds.. Prefer to speak to someone? 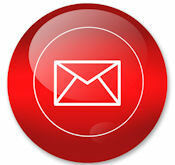 Call our customer services team on 0845 533 1023 0845 533 1023 Monday to Friday 9.30am to 5pm.